Chatbot, or “Virtual Role Play” is a project created by faculty researchers at Penn State University. Using an online chat simulation, it helps new teachers build confidence and skill in engaging in difficult conversations with their students. 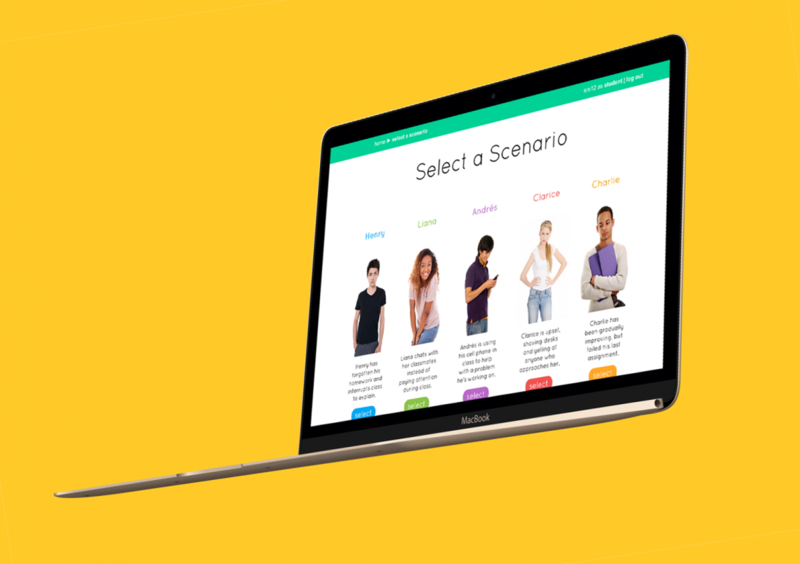 The web-based application provides a variety of scenarios and conversational agents, goals related to the conversation, and a dialogue box in which users can take notes. At the end of each simulation, users can access a transcript of the session to reflect on their performance. I collaborated with an interdisciplinary team of researchers and developers to create the visual interface for the system. I contributed layout and styling, from wireframes to final front-end development, as well as the interaction design, navigation, and hierarchy.